I for one have terribly stinky feet. Which then means, my shoes pick up quite the stench. But now it's not necessarily my shoes. It's the insole I had made for me back in August. I take that insole out and put it into whatever shoe I'm going to run in…which means it gets a lot of use. Which then means my feet are sweating in them a lot and they stink. But what's worse than my stinky feet? Tucker's. Oh gross! A growing boy's feet pick up some of the grossest smells and then I just want to toss his sneakers right out of the door. But now I don't have to worry about this anymore! 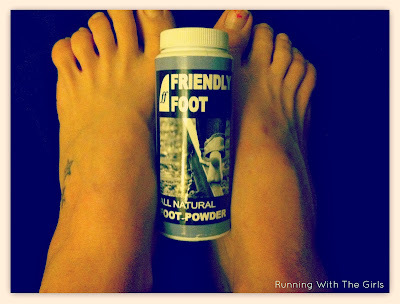 I was provided the opportunity to try out a great product - Friendly Foot. An all-natural foot and shoe deodorizer. As soon as it came, I sprinkled some into my shoes - especially those insoles - and then a bit into Tucker's shoes. And I haven't had to add anymore powder. That was at least 3 weeks ago. And the smell is gone! The smell is great - it's a very light lavender/peppermint scent that is very soothing. I actually would love to have a huge bottle of this and would love to sprinkle it all over my house. It smells that great! Too bad I have wooden floors. They will look rather funky with powder all over them. But, the couches are definitely a possibility! Friendly Foot retails for $10.99 and comes in 4 oz. This is quite a deal! 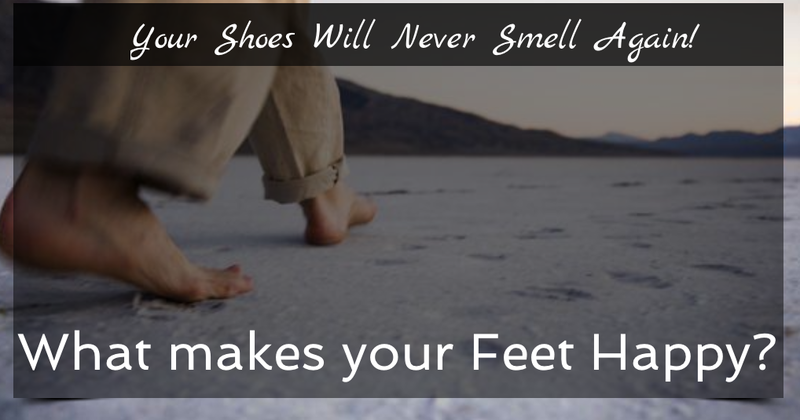 Especially when it takes the stink out of your shoes, your kids shoes. Heck you can even invite your entire running group over and sprinkle some in their shoes. They will love you for it! And you'll still have some left over! You can purchase it directly from the Friendly Foot site here or find it at a store on this list. Do you suffer from stinky foot? Or do you know someone with awfully stinky feet? 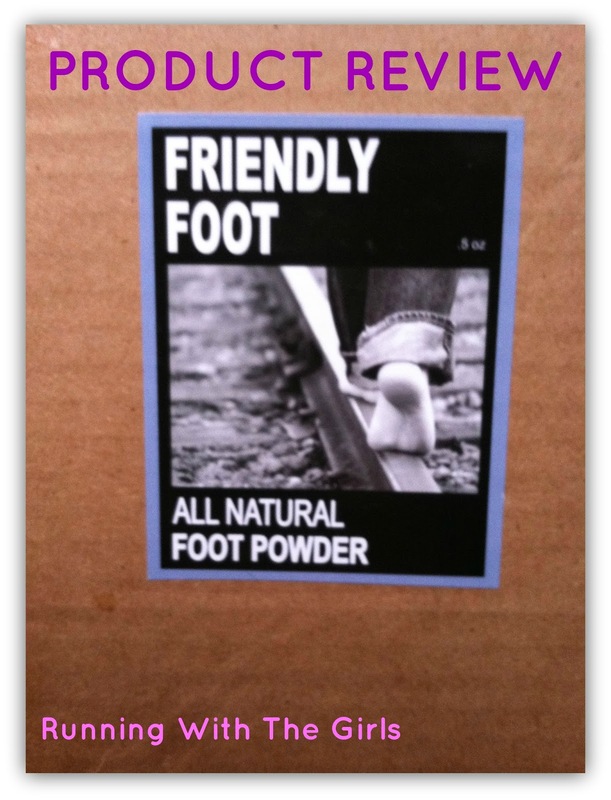 Disclosure: I received Friendly Foot for free from Friendly Foot, Inc. as coordinated by Deep Creek PR an Outdoor Retailer Public Relations Company in consideration for review publication.